Heavy medical goods like instrument trays are a challenge for wrapping materials. The wrapping material must have a good drapability, a very high tensile strength and, of course, it must form an efficient barrier against bacteria. Non-woven 59g wrapping material was developed especially for those demanding applications in the CSSD. 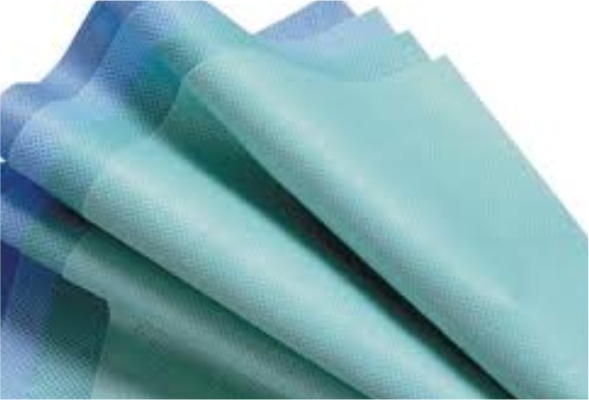 The combination of pulp with a high share of polyester fibers makes this non-woven extremely robust. Therefore it is suitable as inner packing layer. For double packaging a combination of non-woven-, SMS- and crepe-material is possible - independent from color and size.